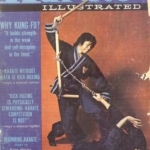 Student of Seven Star – Qi Xing Tang Lang under Shifu Chen Zhen Yi in Hong Kong and Tai Ji Tang Lang under Shifu Chiu Chuk Kai in Hong Kong. The youngest of eight brothers and sisters, Shifu Liang Kam Yuen was born in Hong Kong, where he spent his formative years. 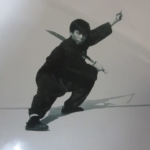 Shifu Liang Kam Yuen moved to the USA with his parents and furthered his studies under his many Shifu’s over the years he returned to refine his style with help from his teacher’s in Hong Kong. 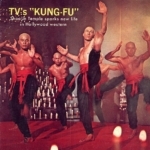 Liang Kam Yuen studied the Northern Shaolin from Shifu Wong Jack Man in San Francisco. Learning the Hsing Yi and Baguazhang arts too from Shifu Wong Jack Man. 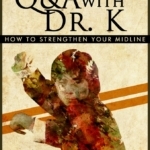 After receiving his degree in Mechanical Engineering in 1965, he moved to the San Francisco area. 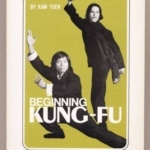 It was while he was employed at Lockheed Aircraft near San Jose that he opened his first Kung Fu kwoon with a friends, Shifu Paul Eng & Shifu Raymond Wong and the Tai Mantis Association was created. 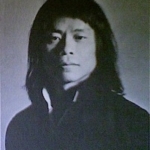 In 1969, after a brief stay in Los Angeles, Shifu Liang Kam Yuen visited Hong Kong to further his study in the Tai Chi Tang Lang style of Kung Fu under Shifu Chiu Chuk Kai. 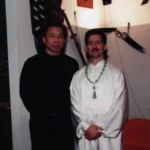 Shifu Liang Kam Yuen trained day and night for several months, then returned to the United States, hoping to share his newly acquired knowledge with other Kung Fu practitioners. Settling back in Los Angeles, he held numerous classes at local YMCAs, the Chinatown Recreation Hall, UCLA, USC, Cal State. 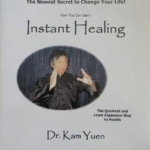 Shifu Liang Kam Yuen was founder of the “Shaolin West Healing Center” and co-founder of the “Tai Mantis Kung Fu Assoc”. 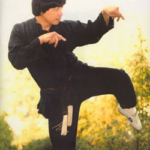 Shifu Liang Kam Yuen has been instructor of David Carradine, Jackson Five and some other celebrities. 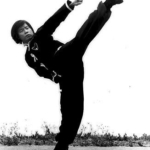 Early in 1972, Shifu Liang Kam Yuen was called by Warner Brothers Studio to act in the ABC Kung-Fu series. 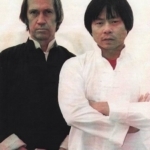 Shifu Liang Kam Yuen was the man chosen to be David Carradine’s double in the famous “Kung-Fu” television series. Shifu Yuen turned over his position to Shifu Moses & Shifu Marquez to go to Toronto Canada and film the new television show “Kung Fu the Legend Continues”. Shifu Liang Kam Yuen currently lives in the valley in California (USA), he trains extensively teaching YuenMethod. all the different styles that he learned.